This is becoming typical of the starting point for most of the restorations we take in. 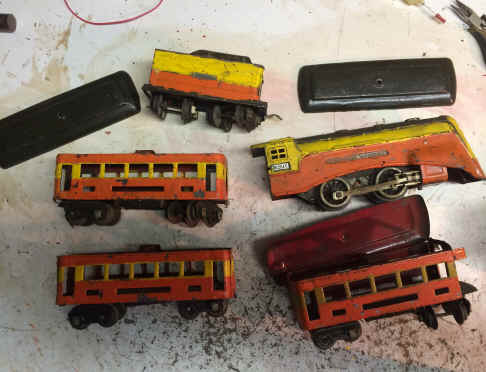 A train is found in an attic or basement and has been in the family for quite a while. Now the family wants it put back to it’s original condition. It takes a lot of time and patience, but the results can be worth the effort. This is the set, as received. Many parts missing and an attempt at repainting it many years ago. This was lurking under the paint. Some bead blasting and lots of body work before anything is ready for paint. 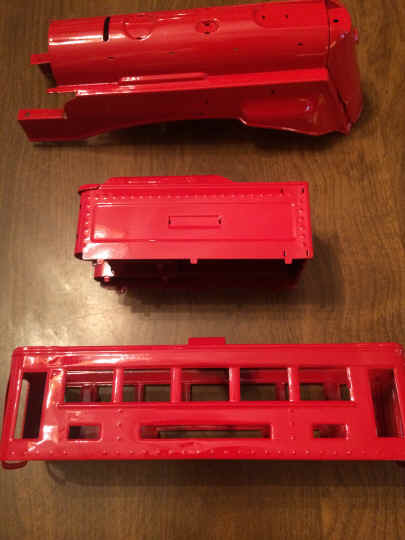 With the bodywork done and the red color coat on some of the parts. 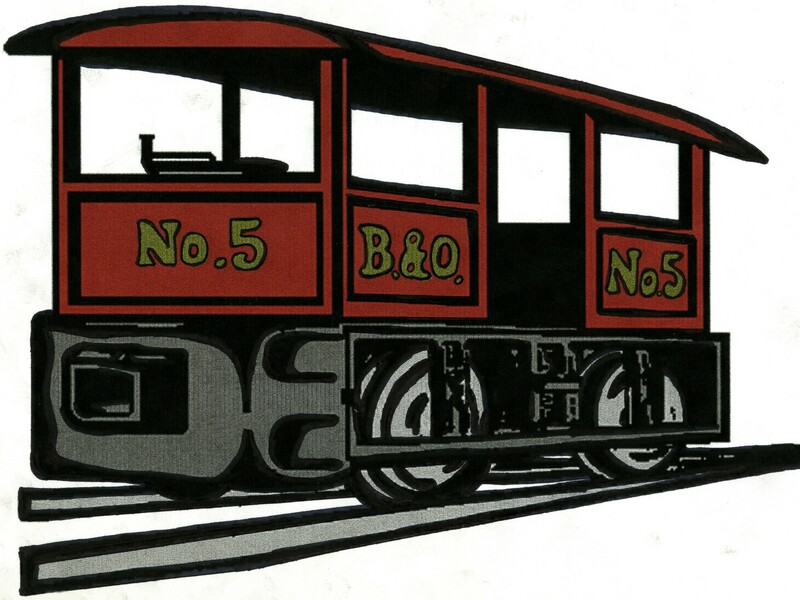 The finished loco and tender. Most all of the trim had to be replaced as it was missing or painted over. 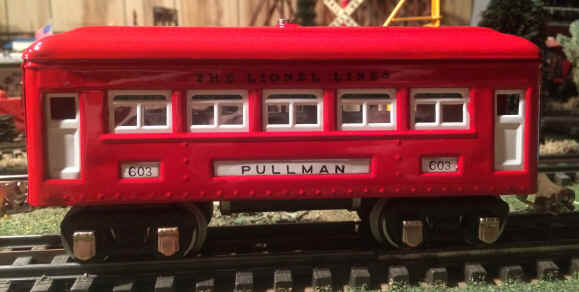 And yes, the steamchest is riveted back on after paint, just as done originally. The small rivet can be seen below the running board. 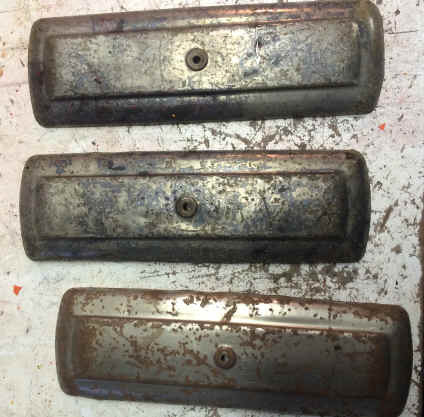 Many times restorers opt to not disassemble the loco body that far and have to paint the existing rivet. Two of the cars with polished bright metal trim and proper rubber stamped graphics.